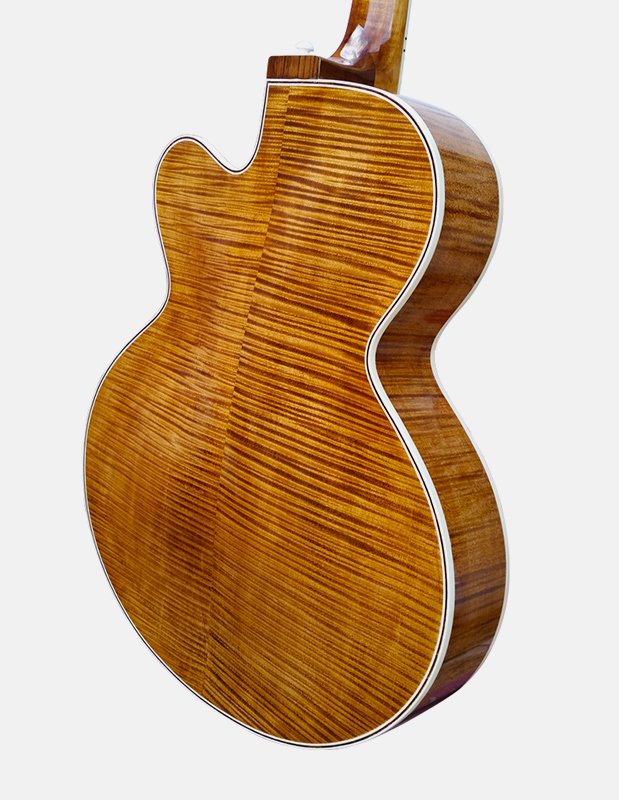 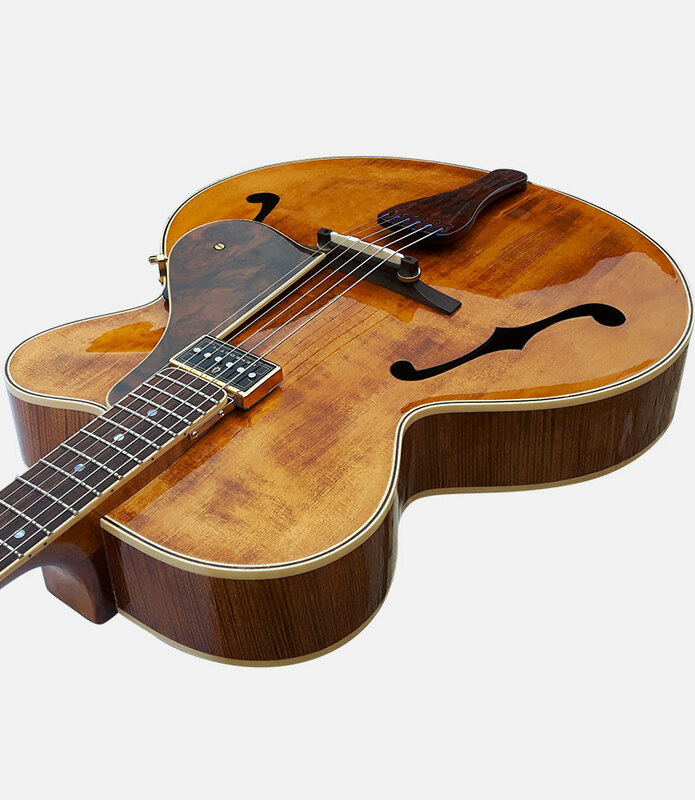 Dinah is is the perfect traditional jazz guitar in our 17′ range. 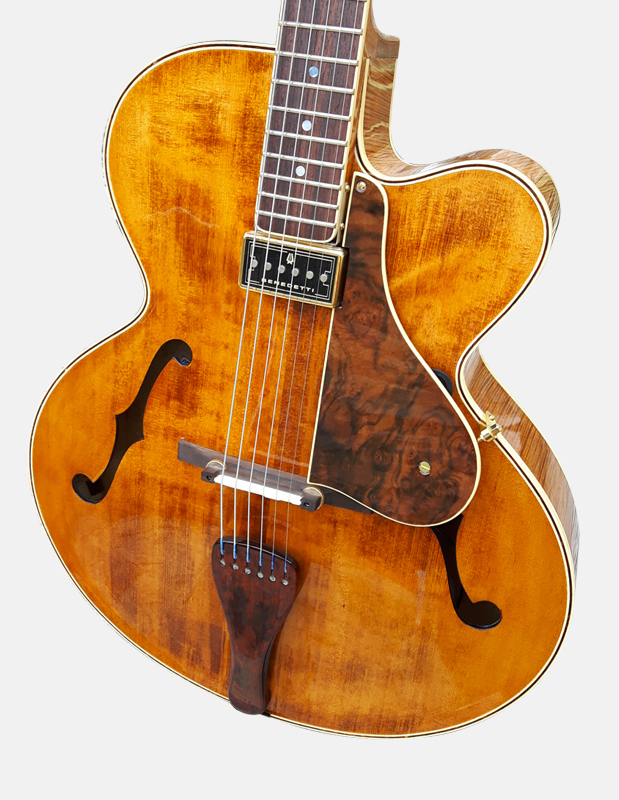 It is made in the purest tradition of jazz guitar. 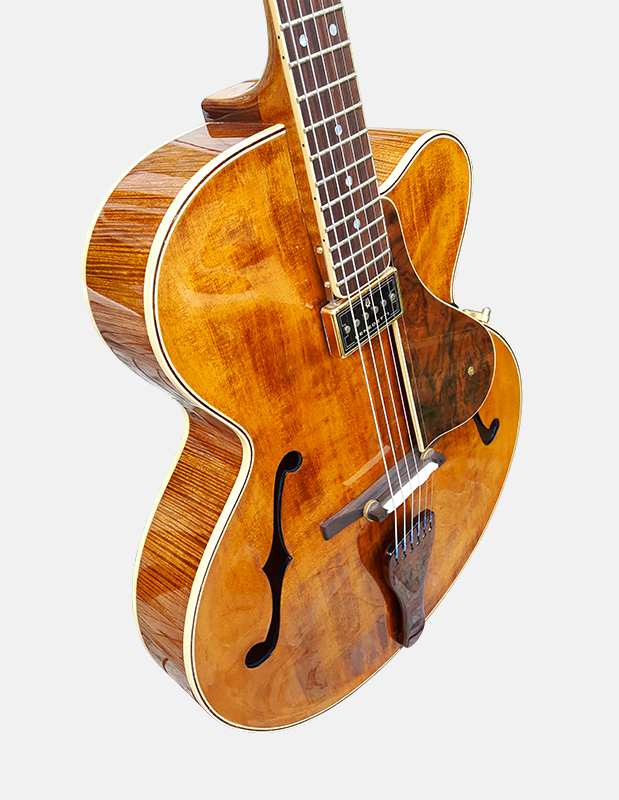 With its suspended pickup, its volume discreetly hidden under the pickguard, the soundboard is free of any constraint, and returns to full vibration. 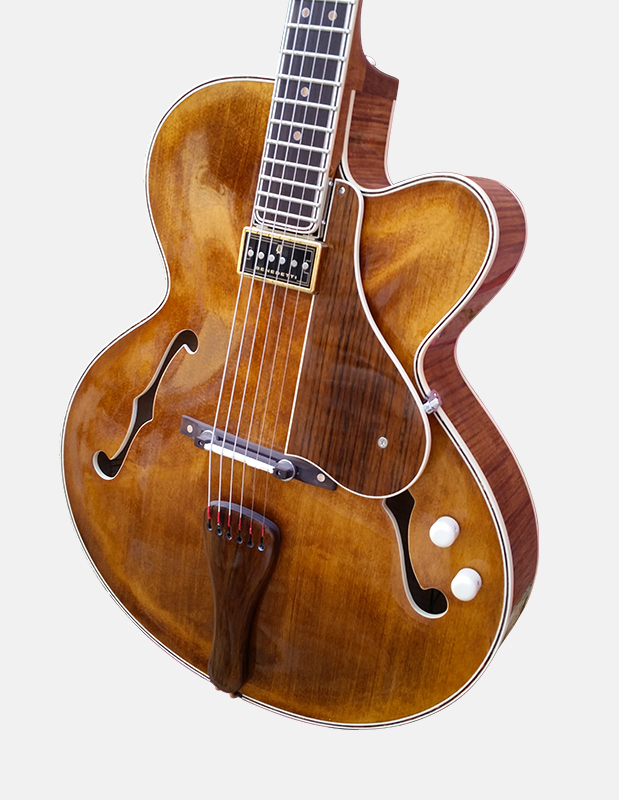 Its X bracing offers a soft, sweet and rich tone. 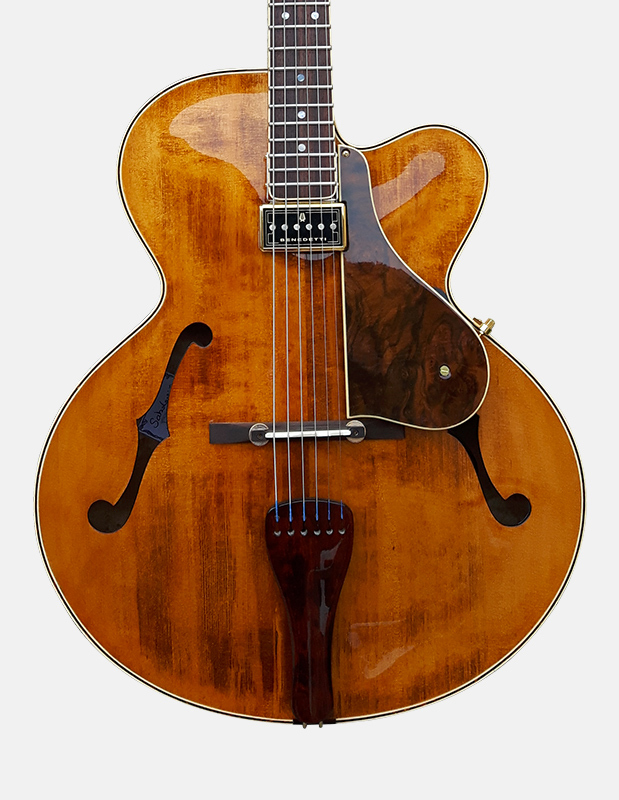 The sounds so characteristic of the jazz guitar. 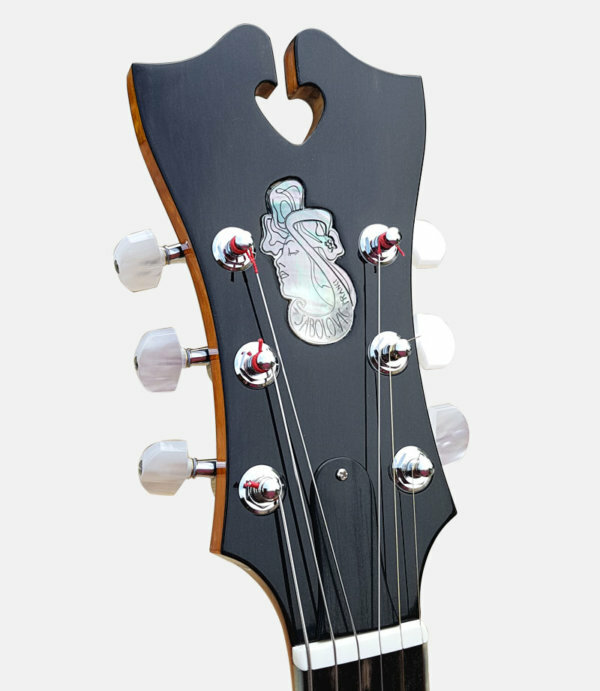 The original tailpiece is carved in wood, the solid bridge is adjustable. 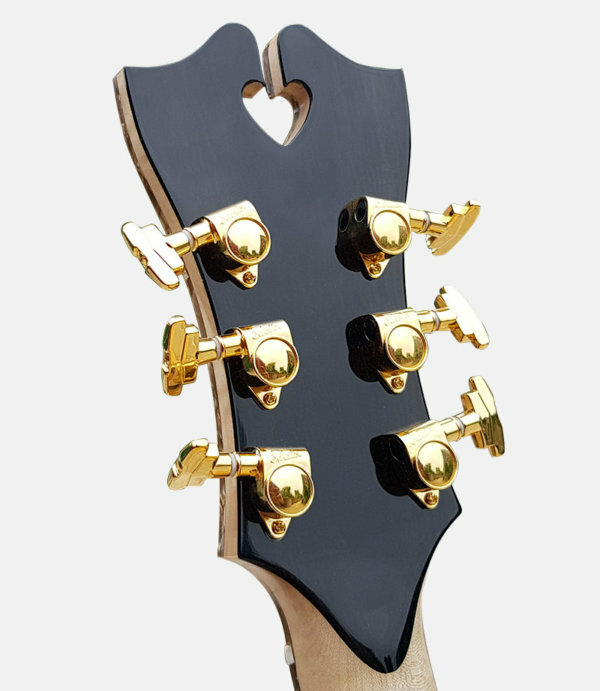 Tailpiece: carved in walnut or ebony. 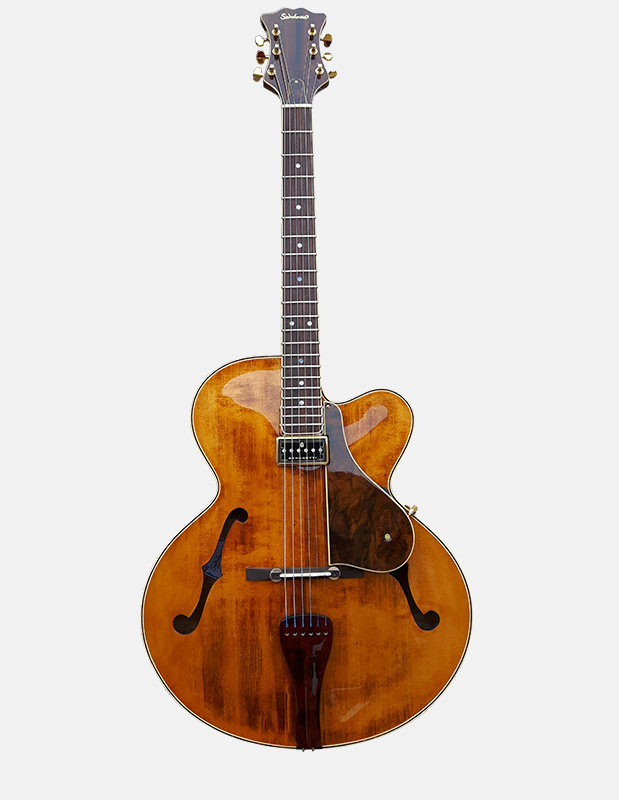 Pickup: Suspended Jazz Benedetti with Vol & Tone. 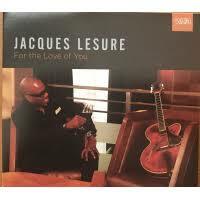 Jacques Lesure recorded 'for the love of you' with Dinah.